These Loaded breakfast cups are packed full of flavor. They include Sausage, cheese, eggs and hash browns. All in one puff pastry shell. Serve them for breakfast and save any leftovers for snacks! 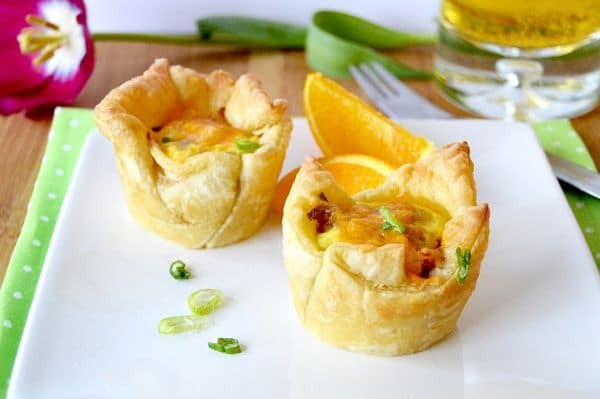 I completely forgot about this recipe for Loaded Breakfast cups. I originally wrote this way back in May for a fellow blogger who was on maternity leave. But you know how it is with summer and the start of fall….. you get busy and sometimes let a few things slide. I remembered it this morning when I was planning what I was going to take to party to watch some football this weekend…. 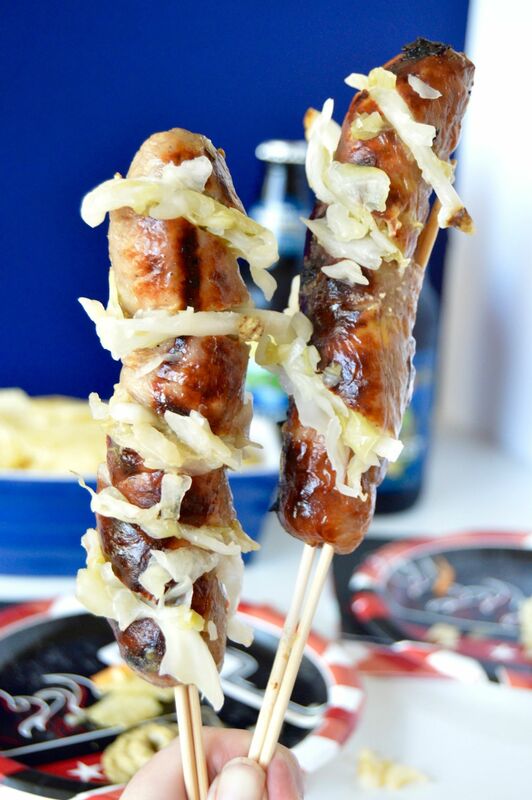 Perfect for Tailgating, these Grilled Sauerkraut Stuffed Brats on a Stick have the Kraut tucked right in! 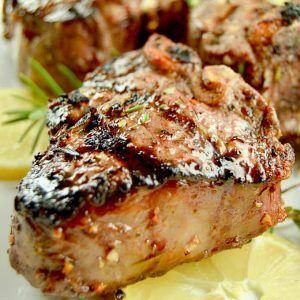 Serve then on the stick for the no carb eaters at your football game! Grilled Brats on a Stick! Fall is coming…. which in my world means Football! Today Im sharing a recipe for Grilled Sauerkraut Stuffed Brats which is perfect for my favorite fall activity…. Football! We’ll be doing a couple of posts this year so be sure to look for the other posts throughout the season…. 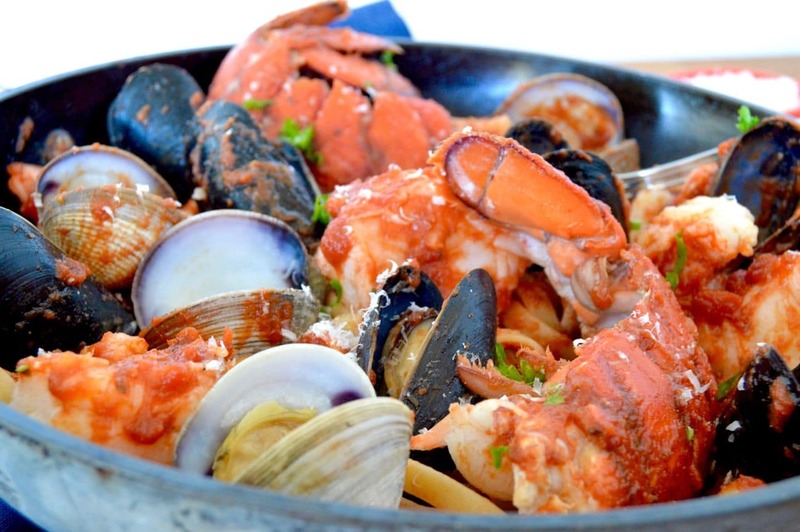 This recipe for Easy Shellfish Linguini is perfect to serve when you’re crazy busy but still want to impress those you’re cooking for! 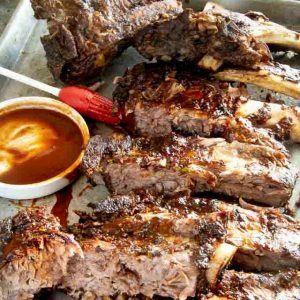 This can be served in less than 30 minutes! 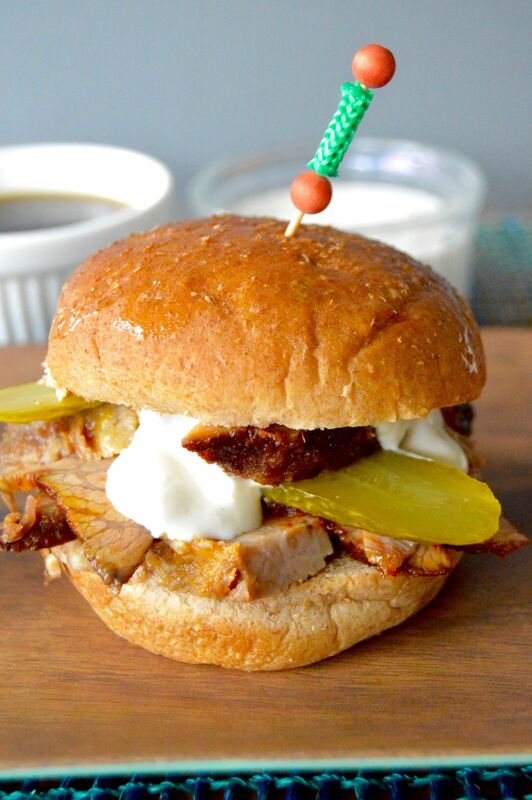 Spicy Beef Brisket Sliders are super tender, juicy and jam packed with flavor. Only 10 minutes to prep, then the rest is leave alone cooking time! Great for big parties where you need single serving foods! Spicy Beef Brisket Sliders are a variation of my very first post. You can check it out here…. The recipe is out of this world delicious but the pictures/copy are a bit cringe-worthy. It’s the only post I’ll never update with prettier pictures (for the record I knew the pics weren’t very good, but I had to start somewhere) or better writing. Why won’t I change anything about it? It’s my Mom’s recipe; when I started off I knew nothing about blogging but what I did know? That this recipe was the best way to start off a blog with. I wouldn’t be who I am with out my Mom and this recipe is everything I love about cooking. 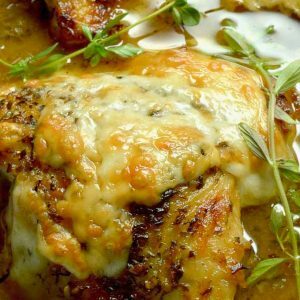 It’s a recipe with a few ingredients that turn into something amazing with little effort and some time in the oven…. 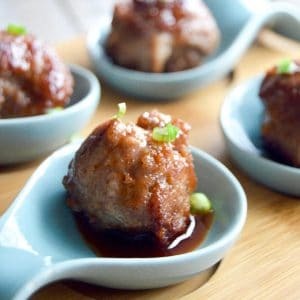 This BBQ Bacon Meatball Slider recipe is sure to be a hit! 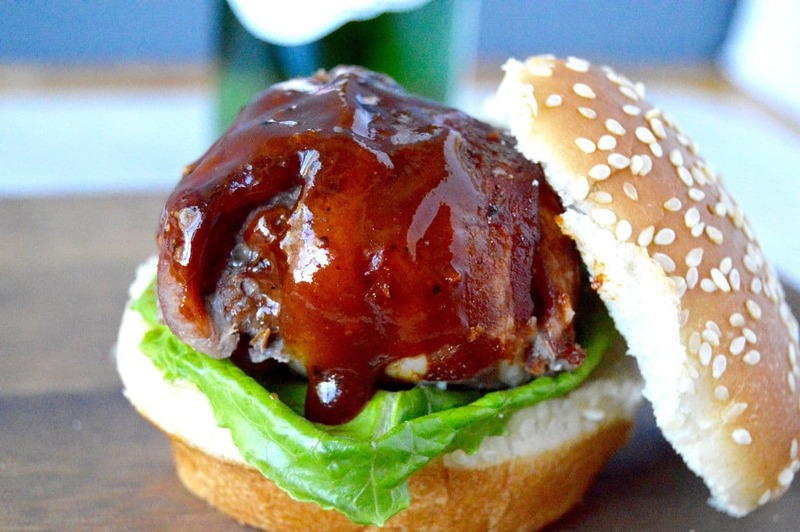 Juicy meatballs, wrapped in bacon brushed with BBQ sauce are the stars of this delicious slider! 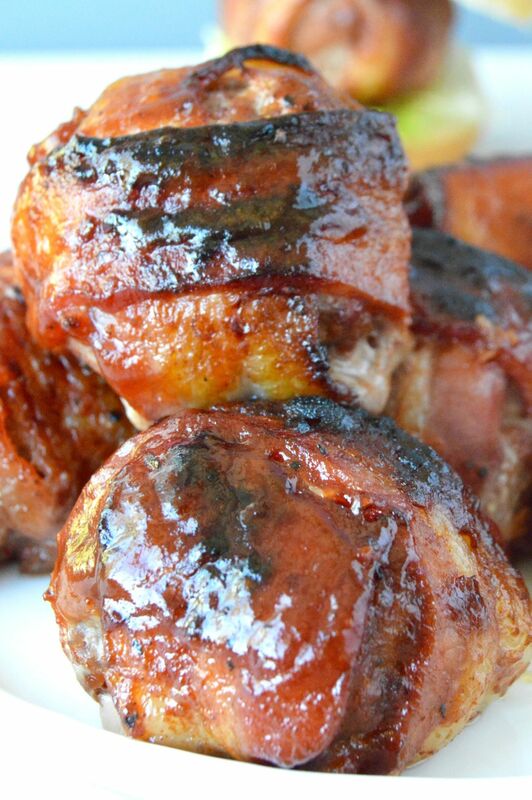 I really wanted these meatballs to be a grilled meatball, but with the addition of bacon it just wasn’t meant to be. The bacon would get really charred and the meatball itself still wasn’t cooked through when I tried it on the grill, so I went back to the oven. 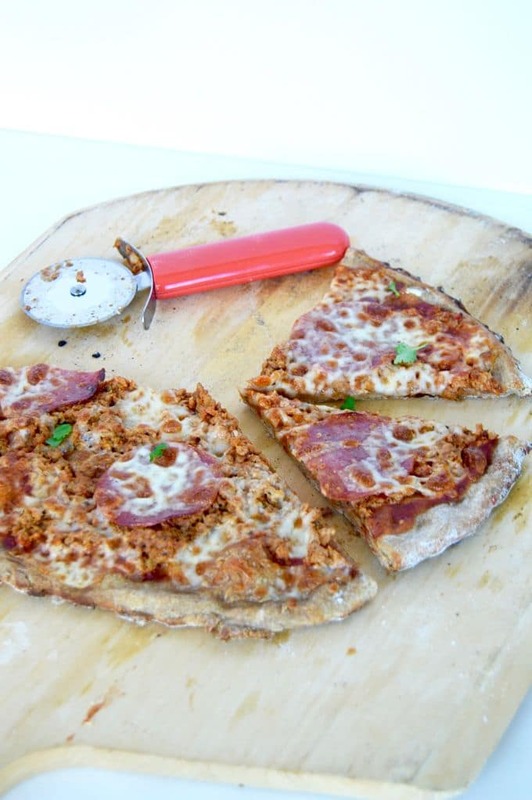 No Fail Rye Flour Pizza Crust! This recipe was inspired by Cooks Illustrated/Serious Eats pizza crust. I can’t tell you how many times I have used this recipe. (I even used it at my own wedding?!?!) My sister in law was the one who originally found it but of course I had to play around with it a little. We’ve been trying to eat more whole grains and since I had rye flour laying around after making these pretzels I decided to see what happened with subbing out some of the all purpose flour and using some rye in its place. Ok, wow. It really worked out really well. This No fail rye flour pizza crust now has a very distinct nutty flavor but it maintains the parts of this crust that I loved. Crunchy on the outside, but tender and moist on the inside. Great flavor intensified with the rye flour. Adding a generous dusting of fresh Parmesan was the icing on the cake (or pizza so to speak!) Yum….